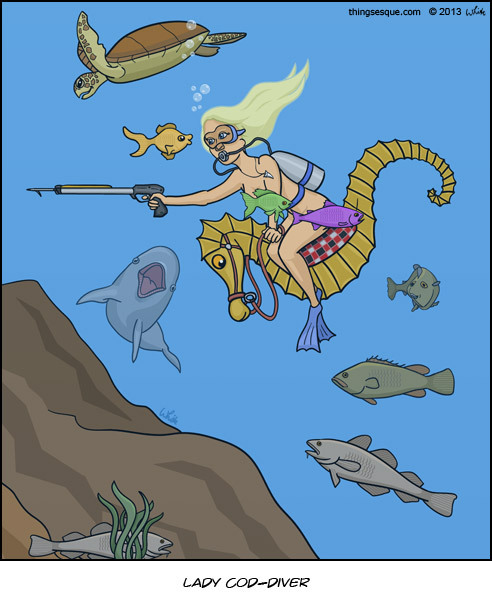 Lady Godiva sits side saddle atop a large seahorse with a spear gun in search of cod. 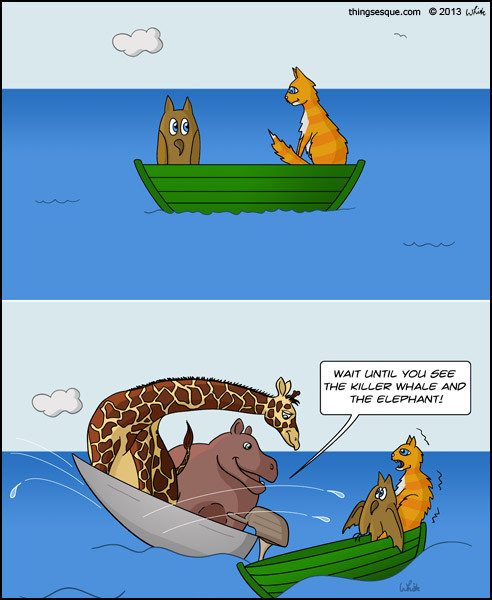 A sea turtle swims by as a dolphin plays in the background. Three cod stay cautiously behind her, while one hides in seaweed below. 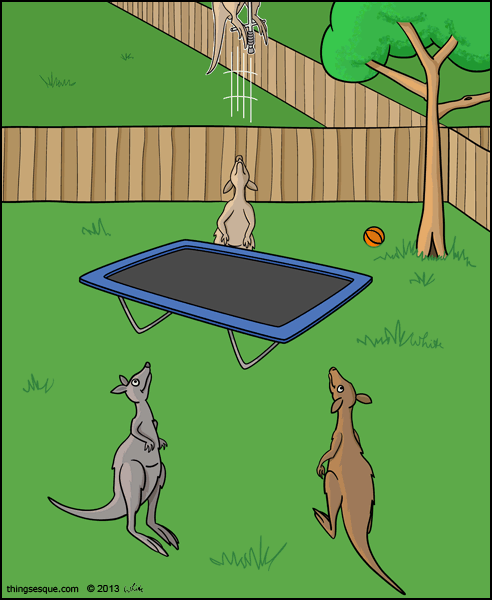 Three kangaroos in a back yard, watch on in admiration as a fourth kangaroo bounces on a Pogo Stick, on a trampoline, reaching great heights.